The traveling exhibition, TUTANKHAMUN AND THE GOLDEN AGE OF THE PHARAOHS, is coming to a city near you. 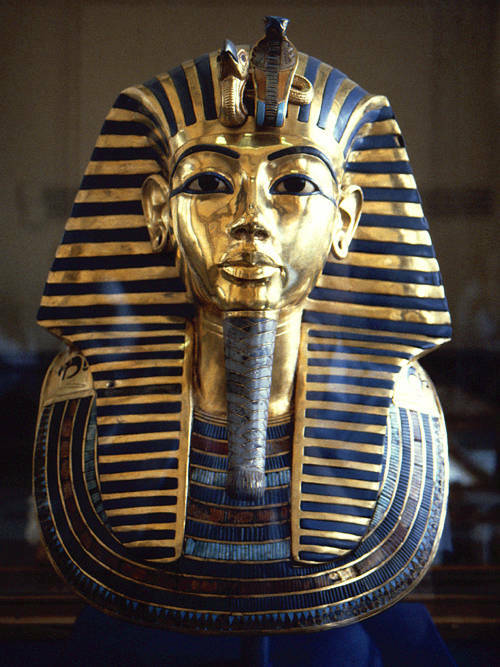 King Tut was an Egyptian Pharaoh of the Eighteenth dynasty during the period of Egyptian history known as the New Kingdom.His death is the subject of mass speculation by researchers and Archaeologists. :( They had that in London for about 6 months and I never saw it! I really regret it now because I have always been interested in Egypt and that type of thing.